A couple of years ago the Lord connected me to a pastor in the Nazarene denomination named Corey Jones. Corey pastors a church in Ft. Worth, Crossroads Tabernacle. I had heard about the prayer conference he hosted each October by other leaders who attended because Corey was heavily quoting my book “Desperate for His Presence”. Our first conversation was several hours long, I felt like I had met my spiritual brother. He had such a passion for the presence of God and was pursuing it at all costs. His testimony impacted me so much. He had literally moved from program-driven ministry to presence/prayer based church! And apparently my book had become a primary source of revelation and encouragement on his journey. Pastor Corey and Beth Ann’s journey is remarkable. You can read about it here. That conversation lead to a meeting at one of the national Nazarene leaders’ homes here in Kansas City a couple months later. Believing I was a guest at this dinner party I was interested in listening as these leaders from across the nation shared their stories. I soon realized however that they had invited me as the “guest of honor” they wanted to hear from me about God’s presence! For 3 hours I poured out my heart in a dimly lit room with about 15 hungry leaders. It was a profound time I will never forget. I realized at that meeting the Lord was about to bring a spiritual revolution to the Nazarene church. These guys were desperate, they were serious and willing to be obedient even in the face of intimidation and scrutiny by denominational leaders. Yes a revolution was brewing! 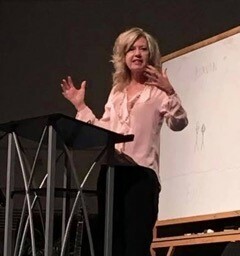 That Fall I spoke at the national “Awakening Conference” in Ft. Worth and the Lord began to connect me to hungry Nazarene pastors across the nation. I soon began visiting their communities to talk about transformation and consult with them over the phone. Each year I speak at the “Awakening Conference” as it grows from hundreds to now over 1,000 people as God continues to stir hearts and release His presence. And during these past 4 years I have been laboring in several communities who are on the journey toward transforming revival. The Hazy Hollow transformation process is being lead by a Nazarene pastor as well as the Linn Country story. Over the years I have been used by the Lord to serve a specific nation but this is the first time He has given me an assignment to a denomination. I believe and I am observing a very real revival occurring inside many Nazarene congregations and in some communities the Lord is using the revived-Nazarene pastors to encourage the transformation of their community. The National Awakening conference in Ft Worth was amazing. 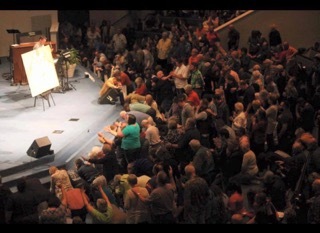 We were over 900 people gathered together plus a couple thousand on web stream. The conference was incredible – the presence of Jesus saturated each meeting. The Lord asked me to speak about “Restoring the Bride to A Place of Dominion: Prayer, Worship and Consecration in Transforming Revival”. The response at the altar was stunning. At least half the room came forward weeping as I as I read over them truth declaration about who they were and the Lord “washed them with His word”. The Lord revived His Bride and raised her up! It was an incredible morning!! We actually felt the Lord raise the Bride up to sit with Him in heavenly places – a weary Bride got restored!! Friday I also did a workshop on transformation and Pastor Denny Dillon joined me and we shared about the transformation of Hazy Hollow! It was so amazing to share a real life American testimony of transformation! 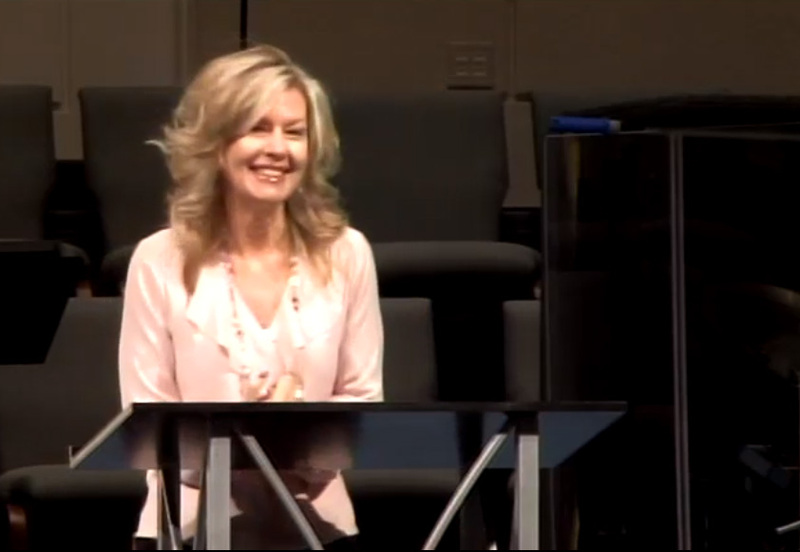 God is using Pastor Denny and Hazy Hollow to encourage many other leaders for what is on God’s heart. Many leaders were impacted by the testimony, pray they will follow through now and join the journey and get involved in the transformation process in their own community! There is now a Ministry Alliance of leaders that I serve. We meet periodically and collaborate about fanning the flames of the revival. It is such a joy to watch God heal people, restore their first Love, fill them with His Spirit and call them to labor in His kingdom! We truly are seeing a move of God in the Nazarene denomination! For more information and archives of the “Awakening Conference” please visit : www.ctgiveshope.com.